Cost: Free admission, parking and shuttle service, Kids&apos; Zone activities, live entertainment and on July 3-4, headline musicians in concert and fireworks. Pay for carnival rides, games, Knockerball, Krazy Kids Jump, festival food and beverages and vendors&apos; merchandise. Website: www.heritageandfreedomfest.com for FAQS, parking, entertainment schedules, festival map. On July 3 and 4, the festival focus moves to the headline entertainment and great regional bands performing on the Main Stage presented by OneMain Financial. July 3 is Country Music Night with Love and Theft (9 p.m.), and Chase Bryant (7 p.m.). July 4 is Rock Music Night with KONGOS (8 p.m.) and Sister Hazel (5:45 p.m.). For song samples visit www.heritageandfreedomfest.com. After the final concert of the evening the Jena "Dusty" Mielke Fireworks Spectacular will light up the sky at 10:15 p.m. on July 3, and 9:30 p.m. on July 4. Also on July 3 - 4, professional stunt artists with the XPogo Stunt Team will flip through the air on extreme pogo sticks, and STRONGMAN John Beatty will get audience assistance with some of his old-time strongman stunts. Carnival rides, midway games, free Kids&apos; Zone activities and festival food, beverages and merchandise booths will be available both days. On Independence Day (July 4), the O&apos;Fallon Heritage & Freedom Fest Parade will get underway at 9:30 a.m. The parade starts at the corner of Main at Third Street (near City Hall), heading north on Main and then turning east on Tom Ginnever Avenue, ending at T.R. Hughes Boulevard near the festival entrance. There&apos;s no concert tonight. Jammin&apos; resumes on Tuesday, July 12. Roll up your sleeve and make a life-saving donation that will help keep blood supplies available in our community. If you&apos;re at least 17, expedite your donation with an appointment - call the Mississippi Valley Regional Blood Center at 800-747-5401 or register at www.bloodcenterimpact.org. Walk-ins also are welcome. Donors will receive a KSHE95 T-shirt while supplies last and an incentive to return to the RSC for a day of fun! Be sure to bring your photo I.D. To volunteer as a greeter or to assist with the canteen area, contact O&apos;Fallon&apos;s Volunteer Services at 379-5417 or volunteer@ofallon.mo.us. Want more information? Visit www.ofallon.mo.us/volunteer. Tour the only rebuilt War of 1812 settler fort in Missouri and a Victorian-era brick house once topped by a tornado. 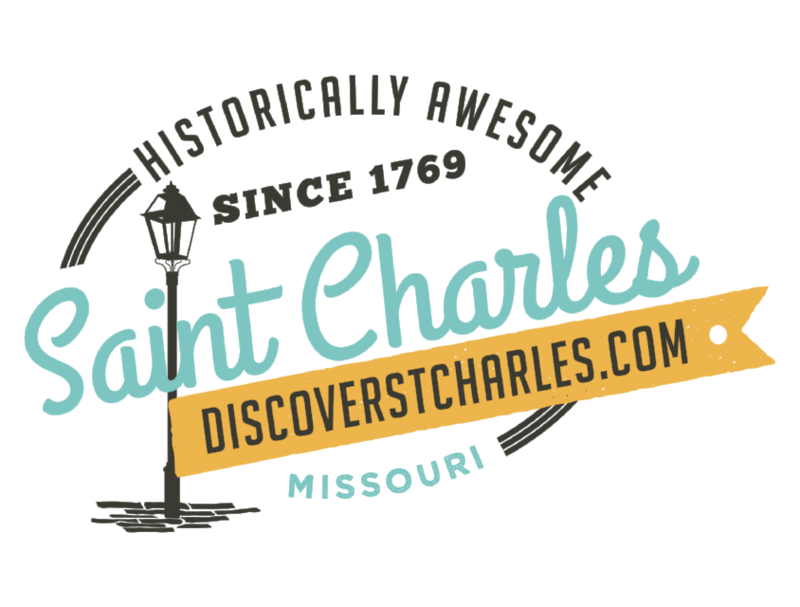 The self-guided tours provide a glimpse of O&apos;Fallon&apos;s 200+ years of history, starting with the days when this area was considered the leading edge of the American frontier. See items and photos from O&apos;Fallon&apos;s history and chat with the people who know it best. Information about O&apos;Fallon&apos;s history is available on the society&apos;s website, www.ofallonmohistory.org. Free! Sit down and listen or get up and dance to Magazine, a Heart tribute band featuring vocalist Kelly Wild (of Trixie Delight). Bring lawn chairs or blankets for seating around the bandstand and purchase delicious food from food trucks and vendors. An ADA-accessible playground, restrooms and walking path are located nearby. Free! Tonight the Gentlemen Bandits will play blues, rock and country soul. Bring lawn chairs or blankets for seating around the bandstand and purchase delicious food from food trucks and vendors. An ADA-accessible playground, restrooms and walking path are located nearby. Free! Enjoy hit songs from the 1970s and ‘80s performed by Groovethang. Bring lawn chairs or blankets for seating around the bandstand and purchase delicious food from food trucks and vendors. An ADA-accessible playground, restrooms and walking path are located nearby. Listen to the sound of music from the movies, pops, jazz and Big Band, live. Bring lawn chairs or blankets for seating around the bandstand. An ADA-accessible playground, restrooms and walking path are located nearby. Concessions will be provided by Sorelle. Purchase delicious food from a gathering of great food trucks and listen to Fanfare play Motown, R&B, pops and disco. For a list of food trucks visit www.ofallon.mo.us/food-truck-frenzy. Free! Memphis Ride will play tropical rock, country and more. Bring lawn chairs or blankets for seating around the bandstand and purchase delicious food from food trucks and vendors. An ADA-accessible playground, restrooms and walking path are located nearby. The drop-off is free except for certain televisions (see the fee chart below) and available to all including schools, churches and businesses. Bring almost any item that has an electrical cord or takes a battery, such as household appliances, water heaters, furnaces, air conditioners, microwaves, kitchen appliances, computers, computer monitors (including CRTs), printers, keyboards, laptops, hard drives, scanners, DVDs, cell phones, pagers, fax machines, answering machines, radios, stereos, speakers, VCRs, power tools, lawn and garden equipment (all yard equipment must have gas and oil removed). Please do NOT bring: smoke detectors, glass lamps, light bulbs, VHS tapes or alkaline batteries. O&apos;FallonTheatreWorks will hold open auditions for the classic World War II drama, The Diary of Anne Frank. Auditioners should come prepared for cold readings from the script and bring a resume and a photo. Crew members also are needed. Performances will be held November 4 - 6 and 11 - 13. Walk through the only rebuilt War of 1812 settler fort in Missouri and a Victorian-era brick house once topped by a tornado. The self-guided tours provide a glimpse of O&apos;Fallon&apos;s 200+ years of history, starting with the days when this area was part of the leading edge of the American frontier. See artifacts and photos from O&apos;Fallon&apos;s history and chat with the people who know it best. For photos and information about O&apos;Fallon&apos;s history, visit the society&apos;s website, www.ofallonmohistory.org. Free! Retro Bogie will play Motown, disco, pop and rock. Bring lawn chairs or blankets for seating around the bandstand and purchase delicious food from food trucks and vendors. An ADA-accessible playground, restrooms and walking path are located nearby. Free! Tonight My Friend Mike will play top ‘40s hits. Bring lawn chairs or blankets for seating around the bandstand and purchase delicious food from food trucks and vendors. An ADA-accessible playground, restrooms and walking path are located nearby. non-resident admission is $6 for kids and seniors and $7 for adults. Swim, dive, work on your tan and let the kids slide the water slides, float the lazy river and splash to their heart&apos;s content on the water playground. Concessions are available for purchase. Please join in this moving ceremony honoring our first responders and remembering the victims of the terrorist attacks of September 11, 2001. See artifacts and photos from O&apos;Fallon&apos;s history and chat with the people who know it best. For photos and much information about O&apos;Fallon&apos;s history, visit the society&apos;s website, www.ofallonmohistory.org. This candlelight ceremony is dedicated to the men and women of the U.S. Armed Forces who remain missing in action or imprisoned on foreign soil, and to the families who are waiting to welcome them home again. Time: Open house 7 a.m. - 7 p.m., 5- 8 p.m. Art & Family Festival; movie at 8 p.m.
7 a.m. - 7 p.m. come try the Renaud Spirit Center facilities, free! Get a 10% discount if you sign up for a new membership. 5 - 8 p.m., enjoy free kids&apos; activities, local artists selling their work, giveaways and raffles, followed by a free showing of Hotel Transylvania 2 on a big screen starting at about 8 p.m., free. Bring a blanket or lawn chair for outdoor movie seating. Vendors and concessionaires will have food and beverages for sale.